Vertical blinds are practical, versatile and stylish, and they offer great control over how much light is filtered into a room. When closed they provide privacy and protect furniture and carpets from direct sunlight. Tilt them to an angle to combine light and privacy or pull back completely to provide a clear view of the outside world. There are 1000’s of fabrics in our Verticals range to help you create the exact look you want. We even offer PVC Verticals and these are water resistant, which makes them ideal in steamy environments, such as kitchens and bathrooms. They are simple to clean too, you just give them a wipe with a damp cloth and that is it !!!. They are also water resistant and heat reflective, so they help keep rooms warm in winter and cool in summer not to mention block out that disturbing morning sunrise. Each made-to-measure Vertical blind is made to Abbey’s high standards, but whatever your choice of fabric or blind style, you will be sure to have a fabulous blind guaranteed to enhance any window in your home. All of our Vertical blinds are made of high quality fabrics and the blinds are manufactured right here in the UK at our factory in Stockport. 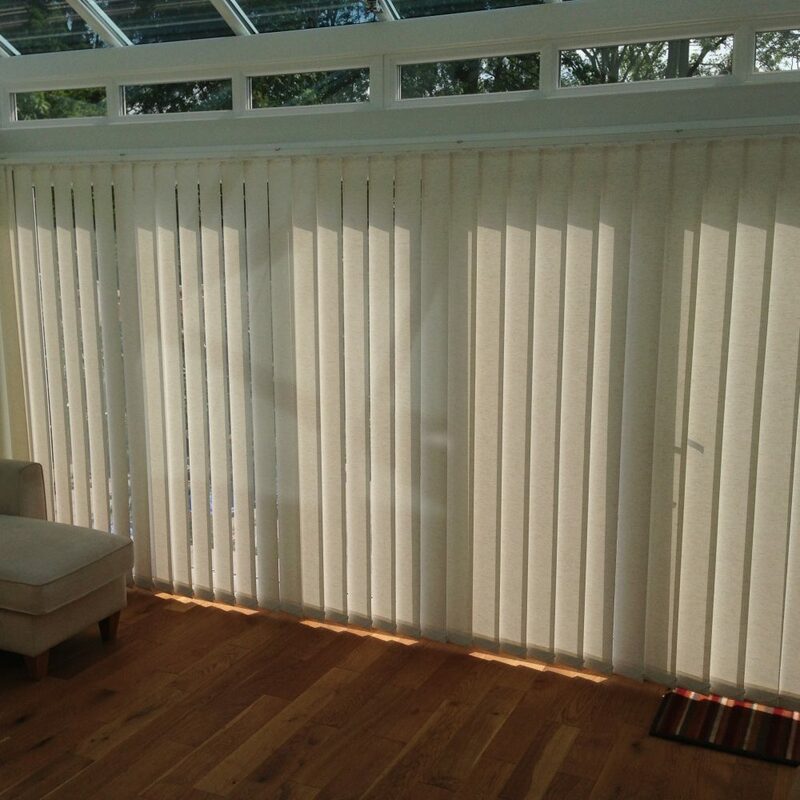 All of our Vertical blinds come with upto a LIFETIME guarantee, so you can be sure you will receive a blind that you will be happy with for many years to come from one of the UK’s leading made-to-measure blinds companies.